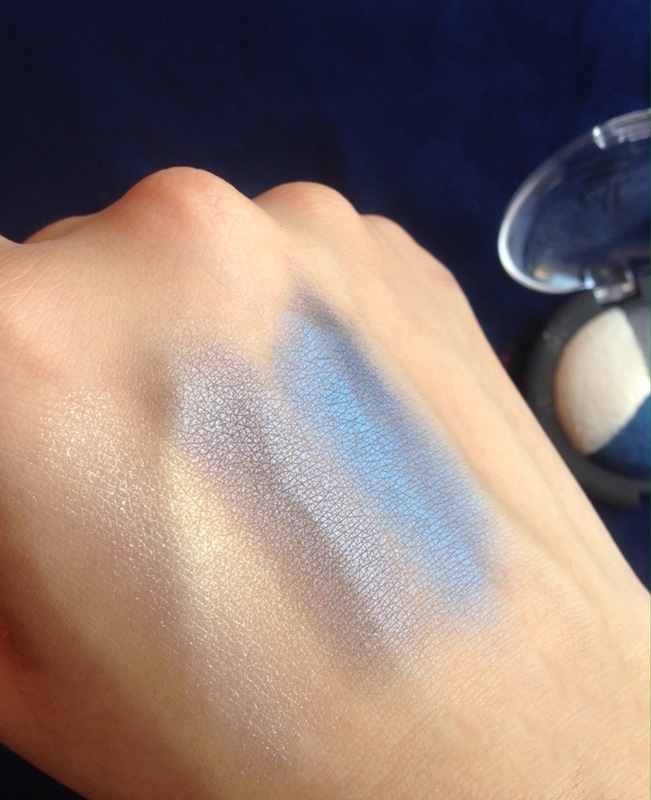 Baked Eyeshadow Trio in Smoky Sea. Jumbo Lip Gloss in Movie Star. The packaging is simple. It comes in a black container with a small mirror. Click here to order this product! Three gorgeously coordinated colors come together to create a stunning look. Baked in an oven, these eye-shadows offer rich pigmentation for a beautiful effect. Infused with active key ingredients Jojoba, Rose, Sunflower, Apricot and Grape to nourish and hydrate the skin. The long-lasting and shimmering color can be worn wet for a vibrant effect or dry for sheer pigmentation, offering a variety of gorgeous eye looks! This trio comes in a standard black plastic case with a clear lid. The Jumbo Lip Gloss Stick is a tinted lip color that glides on like a lipstick but looks like a gloss. With nourishing Jojoba, Soybean and Vitamin E key ingredients, it conditions and moisturizes the lips. The twist-up component and smooth glide formula is easy to use for on-the-go application. 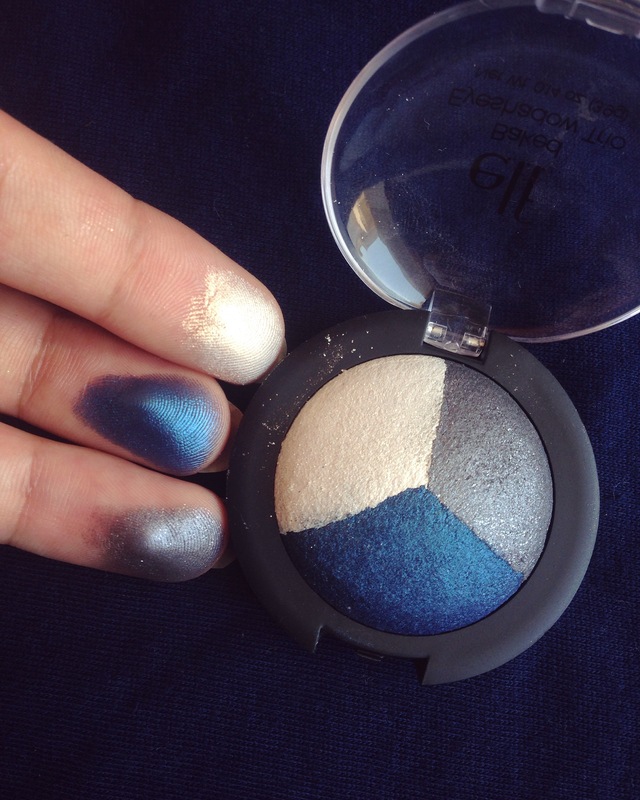 This one’s probably my favourite out of all the products I got from e.l.f. This lip-gloss has a creamy texture. 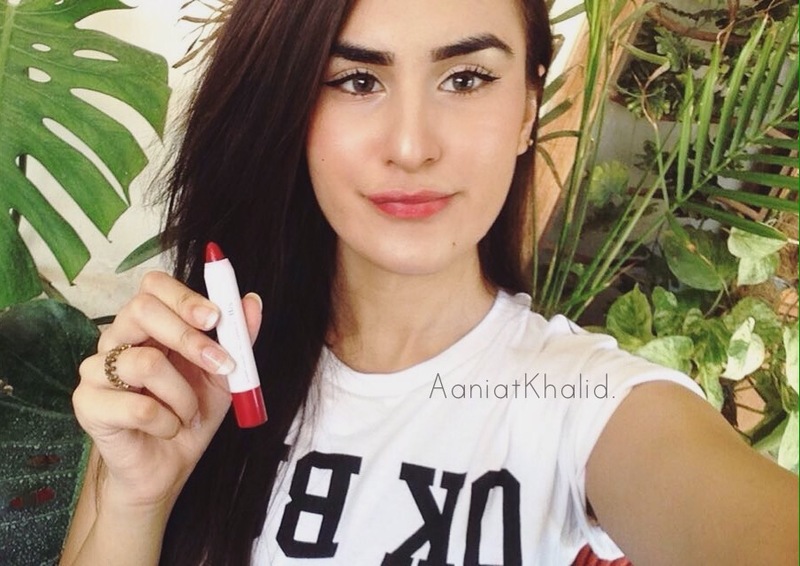 It keeps my lips hydrated and at the same time gives a shiny look to the lips that looks super natural. It is moisturizing and glides smoothly on lips although I need to apply it 2-3 times to bring proper shade (since it’s a gloss, that justifies the weak pigmentation). 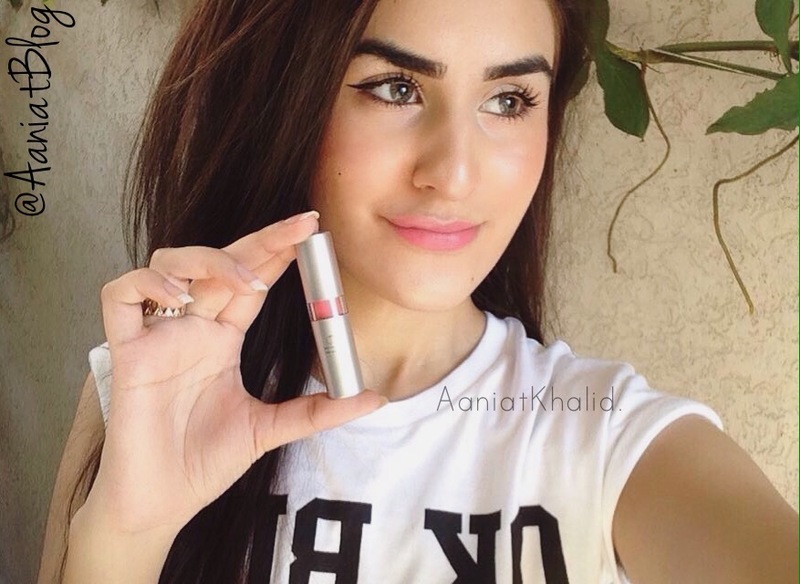 It is almost like a tinted lip-balm for me, very moisturizing for the lips & it lasts for a decent 2-3 hours. 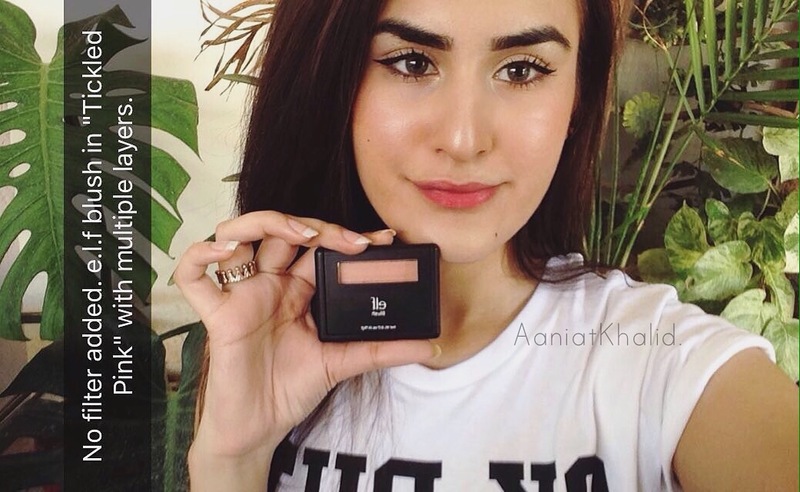 But within 2 hours, it loses its glossy shine and remains as a stain for an hour (at best) more that gives a really pretty rosy colour to the lips that looks really mild & natural. It has a very sweet, bubblegum sort of smell that seems really pleasant to me but super unpleasant to some (but it’s okay because it goes away after a while). Click here to see a quick video swatch on this gloss stick. 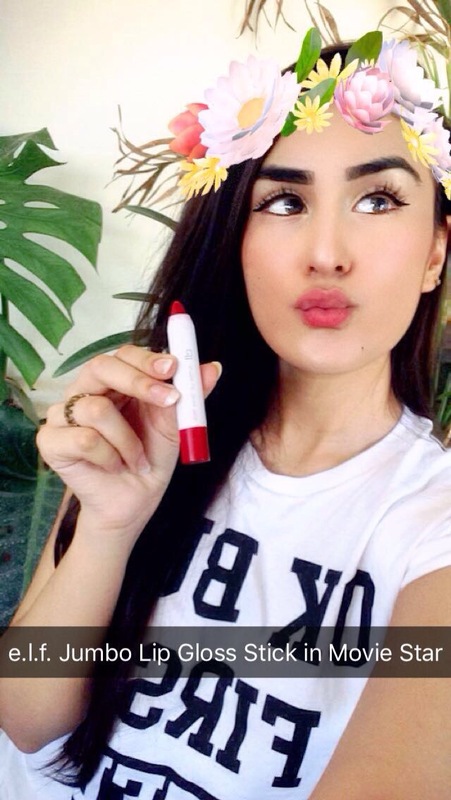 If you’re a matte lover, this lipstick isn’t for you as it gives off a really glossy finish. On the other hand, my mom love glossy lipsticks. I gave it to her and she LOVED it. 💙This lipstick isn’t drying for the lips at all which makes it ideal for daily use and for a natural make-up look. This is a beautiful bubblegum pink & has a sweet scent (that fades away after a while) but is over-all extra creamy and smooth with medium pigmentation. ELF Powder Brush use on the face to apply, blend or contour powder products evenly and flawlessly. The soft rounded corners deliver a light blend of color on the face. 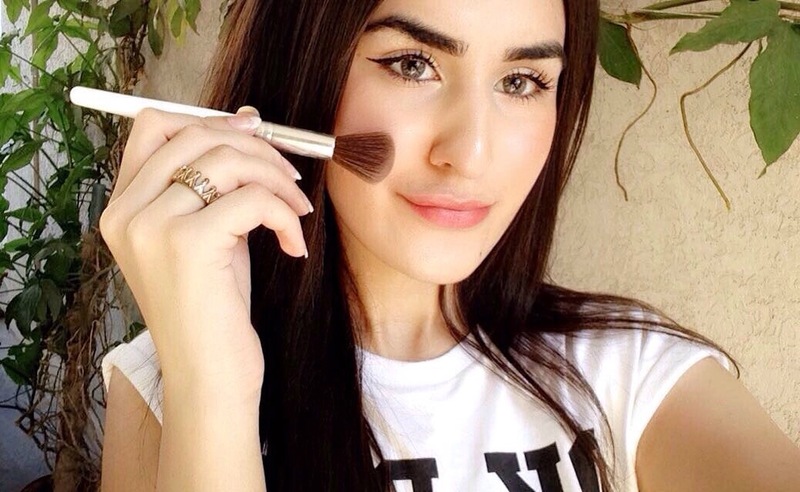 Perfect for applying both pressed and loose foundation, bronzer or blush powders. How To Order Their Products Online? You can directly place your orders on their Official Website since the website is user-friendly & every product is organised there under proper headings with all the prices mentioned OR you can simple DM them on their Instagram Profile OR message them on their Facebook page! I thought it’d be wonderful to share my experience through this review. What do you think about e.l.f. cosmetics? Are you thinking to get some of these products?